A new teaser clip for Alien Covenant reveals that James Franco will be playing the captain of the ill-fated colony ship. Reuniting with Pineapple Express’ Danny Mcbride, Franco is leading the crew of the Covenant on a mission to populate a remote new planet. The four-minute teaser above introduces us to the ship’s crew, helping us get to know the loveable scamps who will undoubtedly soon die horrific deaths. 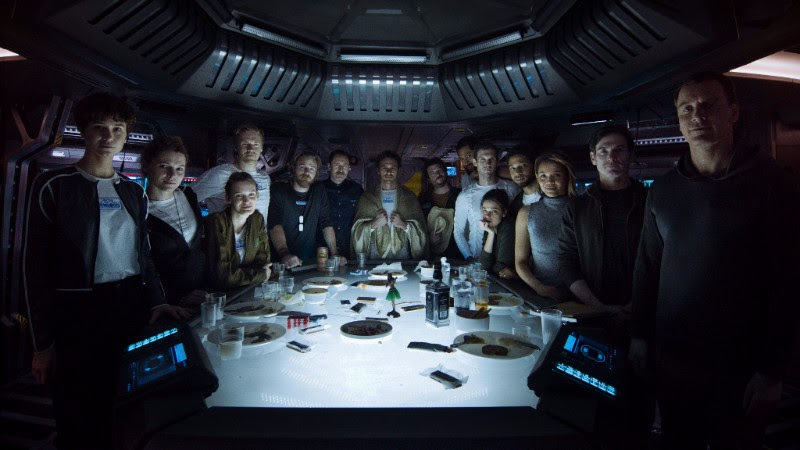 The clip shows the ship’s occupants in a celebratory mood, joking with each other as they enjoy their last supper before entering cryosleep. Yet as this is an Alien movie after all, there’s a subtly dark and tense atmosphere hanging over proceedings. As well as containing a brilliant little fake-out, the enjoyable clip contains a few other hints at possible plot points. James Franco’s character appears sick and sullen, which could suggest that the captain is either already carrying an Alien or is merely apprehensive about the mission ahead, maybe suggesting that he knows more about the sinister planet than he lets on. With Fassbender’s Android already showing his true colors in Prometheus, the actor’s cool and calculating performance keeps all eyes on him as the robot lurks ominously in the background. Could the pills he gives to Ripley-alike Daniels be part of a stomach-curdling plot? Or is he just making sure that she gets her five a day? Either way, we’ve got our eye on you – Fassbender. While this teaser was almost frustratingly vague, it’s done a great job of building up hype levels for Ridley Scott’s next adventure here at Wccftech towers. Alien Covenant will be released worldwide this May.